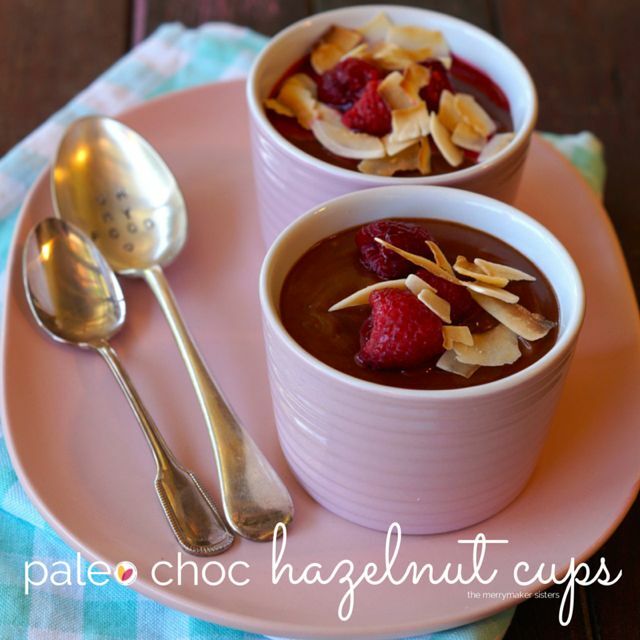 We’re SO excited to share this delish recipe for Paleo Choc Hazelnut Cups! The best thing about this recipe is that it is ridiculously quick and easy. We’re talking chuck all the ingredients in your blender… whiz, pour and set kinda style! Yes, the best kind of style! The inspiration for our Paleo Choc Hazelnut Cups came from a past love of Ferrero Rochers and the fact that combining hazelnuts and chocolate is like the best idea ever… a taste sensation, party in your mouth, yum, delish, yes! If you’re after a low fructose sweet treat, swap the raw honey for rice malt syrup! Easy! Plus, if you haven’t downloaded our free eBook full of our favourite paleo sweet treats, be sure to sign up to our Merrymaker Community! Or, if you want even MORE (there is always more) low fructose sweet treats, check out our Make it Merry hardcopy book! Place all of the ingredients in a food processor (we use our Vitamix) and whiz for around 5 minutes on high speed until smooth. You'll need to scrape the edges as you go. Pour the choccy cup mixture in to 4 individual ramekins and place in the fridge for an hour or until set. 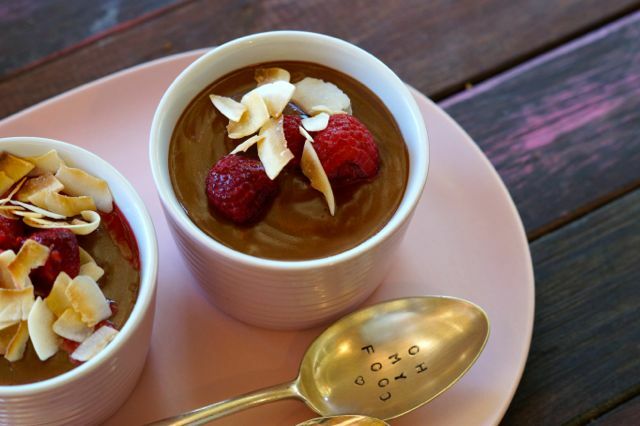 Serve your Paleo Choc Hazelnut Cups with fresh berries and toasted coconut! Yum!